Many of us are going to dedicate our posts this month to aspects of Shakespeare, the 400th anniversary of whose death falls on 23rd of the month. On the actual 23rd we are having a Shakespeare Day when several of will nominate the best and worst performances and productions we have seen. 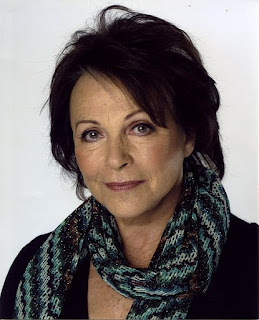 I am kicking us off with an interview with the wonderful actor Claire Bloom. Although known for the range of her work from Ibsen to Tennessee Williams to Chekhov, Claire's early acting career - which began an astonishing seventy years ago - started with Shakespeare and she has played many of his women. A bit of biography: Claire Bloom, CBE, was born in Finchley in 1931 and, after a wartime stay in the United States, went to the Guildhall School of Music and Drama and the Central School of Speech and Drama in London. She made her stage début at 15 at the Oxford Repertory Theatre and followed it a year later as Ophelia to Paul Scofield's Hamlet at the Shakespeare Memorial Theatre in Stratford. Her film career was launched by Charlie Chaplin, who cast her in his film Limelight (1952). She has appeared in many films, on stage and on TV, where she starred in Brideshead Revisited, Anna Karenina, Wuthering Heights and Shadowlands, for which she received the BAFTA for Best Actress. She has a daughter, the opera singer Anna Steiger, by her marriage to Rod Steiger. 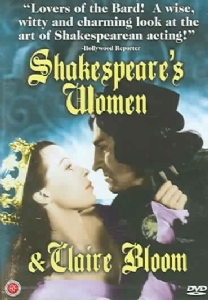 I first saw Claire Bloom as Lady Anne in the film of Richard lll (1955), with Laurence Olivier as her leading man. That incredible scene where Richard courts the widow of a man he has killed over the coffin of her husband (a change from the play where it is that of her father-in-law Henry Vl) remains stamped on my memory because of her magnificent spitting at his cheek. I was struck then, not just by her beauty, which it is hard to be unaware of even today, but her immersion in the role and her credibility.Claire has written two memoirs, Limelight and After (1982) and Leaving a Doll's House (1996) and in both we read how diligently she prepared for her early Shakespeare roles, reading everything she could get her hands on. "It was exciting," she says. "In those days, you didn't ask how a play was to be approached," she says. "Shakespeare was just 'done' and the director left you to work things out for yourself." Playing Ophelia opposite both Paul Scofield and Robert Helpmann on alternating nights was soon followed by Juliet with Alan Badel as Romeo and later John Neville. Her list of leading men - Richard Burton, Laurence Olivier, Paul Scofield, John Gielgud, Yul Brynner, James Mason, Paul Newman, Patrick Stewart - reads like a Who's Who of 20th century theatre. Paul Scofield said of his young Ophelia many years later that "she acted with a daunting assurance which belied her inexperience ... She was a very good Ophelia." It was only the beginning of her career in Shakespeare - I calculate that she has played around 20 roles in his plays. And when I ask which one she regrets not playing the answer instantaneous: Cleopatra. Generous with her praise of other actors she mentions Janet Suzman in that role. "And who would have played your Antony?" I have to ask. Claire Bloom can't resist this game of fantasy casting. "Alan Howard," she says enthusiastically, "Or Alan Rickman" and we break off to lament the passing of these two fine actors and men. "Or Richard Burton," she adds, poignantly. Claire has written frankly in her books about their great love. She was never Lady Macbeth either, though she has played both these great roles in her one-woman shows in the US. Sadly there is no DVD available playable on this side of the Atlantic. I would have loved to see those. "I've never been a delightful little thing," she writes in her memoir but her classical, refined beauty made many stereotype her as the cool, cultured heroine. "Did you long for a part like The Lady in the Van?" I ask and she laughs (she laughs a lot and is very good company). "Well, perhaps not the Lady in the Van, " she demurs, " but I haven't just played queens you know. I've had a lot of interesting roles." Blanche du Bois in A Streetcar named Desire is certainly not cool and cultured, it's true. In her second memoir, Claire says "An outsider is something I have always known myself to be," and I ask her about that. "Well, as a Jew growing up in England in the '40s, it was just a fact. But I think all actors are outsiders really." She asks me if I knew that many actors grew up without fathers - I didn't. Many of them found a second family in the theatre after their own fathers died or left their families. It is tempting to think that is what happened to Claire too. Her father left the family: herself, her younger brother and her mother, when Claire was sixteen, to pursue his fortune in South Africa. His eccentric plan was to get a divorce and marry a rich South African woman so that he could better support his family. And this did indeed come to pass - all except the last part. But by then Claire's earnings as an actor were an important part of the family economy. "I have been a professionally independent woman since the age of fifteen," she writes proudly. Her relationship with her mother was exceptionally close (and is repeated in Claire's closeness to her daughter Anna). After every performance Elizabeth Bloom would give her daughter notes - "and she was always right," says Claire ruefully, "even though I didn't want to believe her." And this is an actor who once said firmly, "Nothing I have read in newspaper notices has ever led me to reconsider speaking a line, let alone reinterpret a role,"
Claire's aunt Mary, Elizabeth's sister, was an actor and immersed herself in Shakespeare but her career was relatively short-lived and curtailed by illness. Nevertheless, it's clear that these two strong women had a powerful influence on Claire's choice of career, certainly at the beginning. She has been -on stage or TV or film - a mother to Derek Jacobi (Hamlet), Colin Firth (The King's Speech, David Tennant (Doctor Who) and Martin Clunes (Doc Martin). "It's what happens to you as you get older," she says. "You become the mother and then the grandmother." But when I ask which Shakespeare role was her favourite she says immediately, "Juliet." "Along with Blanche du Bois and Nora, Ophelia and Juliet are the closest to facets of myself." Many thanks to Claire Bloom for agreeing to be interviewed and to Michelle Lovric for introducing us four years ago and hosting our meeting. Lovely - thanks for this! I had been resistant to reading or even attending Shakespeare's plays for most of my life. But the Hogarth Shakespeare series begun this month has turned that around for me. I have read both the books that have come out so far: A Gap in Time by Jeannette Winterson, her retelling of A Winter's Tale and Shylock is My Name by Howard Jacobson, his retelling of The Merchant of Venice. (I even got a paid reviewer position for the whole series!) Because I have always loved reading novels more than any other form of literature, I am happy to say that novels led me to the Bard. Love that you are doing this series here this month. I expect to learn of great performances of the plays, as I did here. A bit late coming to this but what a wonderful start to our Shakespeare month. Fascinating insight into a great actress who is still as beautiful as ever. Thank you for bringing this to us, Mary (and Michelle).